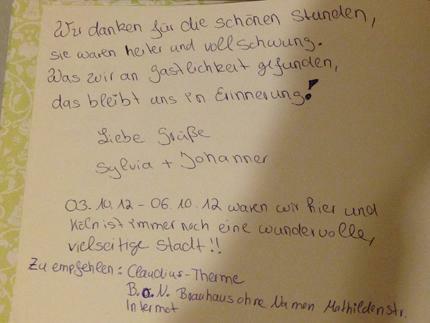 Dear patrons and guests in future times: now already since 2012 we rent apartments in Köln Deutz directly at the Rhine and we are proud when we read the entries in our guest books. 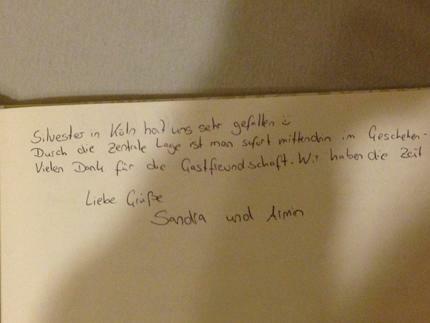 Satisfied guests are particularly important to us because we want to do a good job. We are only satisfied when you are! 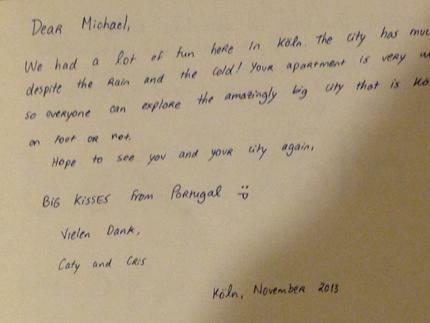 After 3 years, we have already guests who love to stay in our apartments again. This confirms us in our work. 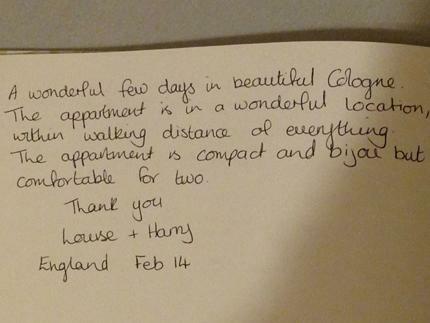 Business guests visiting the fair halls and "normal" Guests book our apartments again and not only because the apartments are really close to the fair (and of course also for an attractive price!) 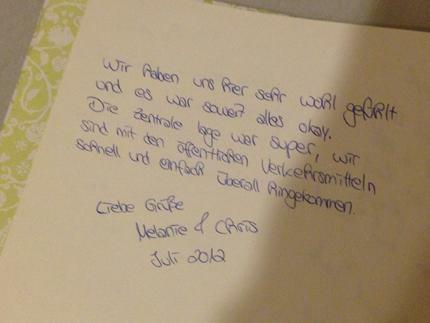 Book it again, as well as grandparents who want to visit their grandchildren and families in Köln Deutz. Thank you for your loyalty and confidence in our rental! 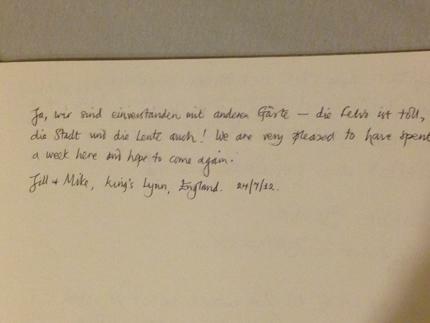 Some of our guests have also left a nice greeting in our guestbook on site. 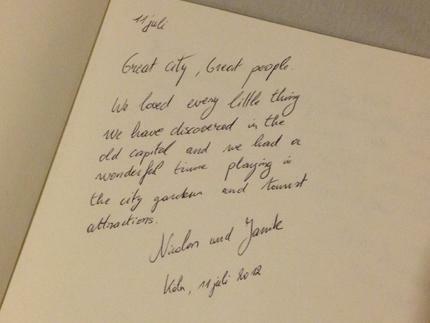 This guestbook messages we want to once briefly present! Eleventh in the eleventh: Start of the carnival in Cologne! 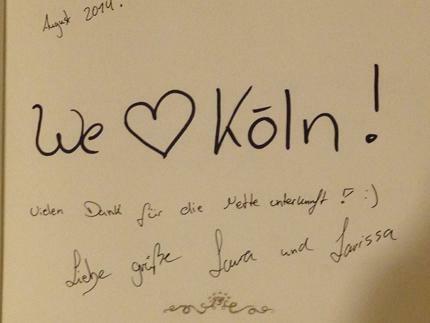 The Ferienwohnung-Koeln.com looks at the Globetrotters! Fewo Köln Tip: The Ice Hockey World Championship in the cathedral city!